This novel actually really surprised me. Many reviews on Goodreads liken the title to the reading experience, one of pushing through long details and descriptions. Actually, this book has done the opposite for me. My reading of Victorian books has been few and far between. Middlemarch was a great novel, one which I am glad I read, and I recently bought a 16-book Dickens Collection in an attempt to get some more of his under my belt. Having only read A Tale of Two Cities previously, I was aware that Hard Times was relatively similar. I admit, I picked it because it was short, and I wanted something to kickstart my Dickens reading again. I wasn't disappointed. A social criticsm on how basing our lives on facts are numbing and remove the humanity within us, Hard Times is Dickens' critique of Utilitarianism. Mr Gradgrind teaches his children, and his students, the importance of facts and how life should be based around them. Living like that, Louisa decides to marry her fathers friend, Mr Bounderby, to aid her brother, Tom, in maintaining his job. Simulateously, you have the story of Stephen Blackpool, a working-class factory worker who is haunted by his drunken wife. 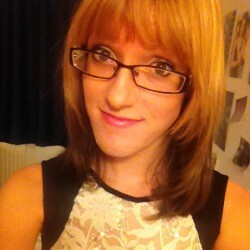 Employed by Mr Bounderby, his only happiness in life is visits from his friend, Rachael. When fired, Stephen is helped by Louisa, and moves away. Tom, however, incriminates him as a thief, instead taking the money for his debts and drinking. Louisa and Tom act in very different ways to their factual upbringing. Louisa strives to maintain her strict life, ignoring all fancys and emotions until Mr Harthouse arrives. Tom, however, descends into drinking and depression, a fall that is beautifully depicted by Dickens. 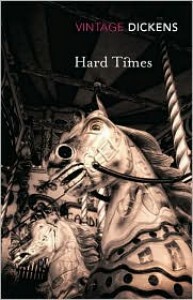 As my second Dickens novel, I was pleasantly surprised how much I enjoyed Hard Times. While not as content-full as A Tale of Two Cities, the depth of Dickens' characters made the novel very enjoyable to read. It has definitely encouraged me to further my readings into Dickens.